You are here: Home / Etsy Love / Felt Ornament Patterns on Sale! Homemade Christmas Ornaments are always beautiful! They make fabulous gifts for friends and a pretty way to top of a package. 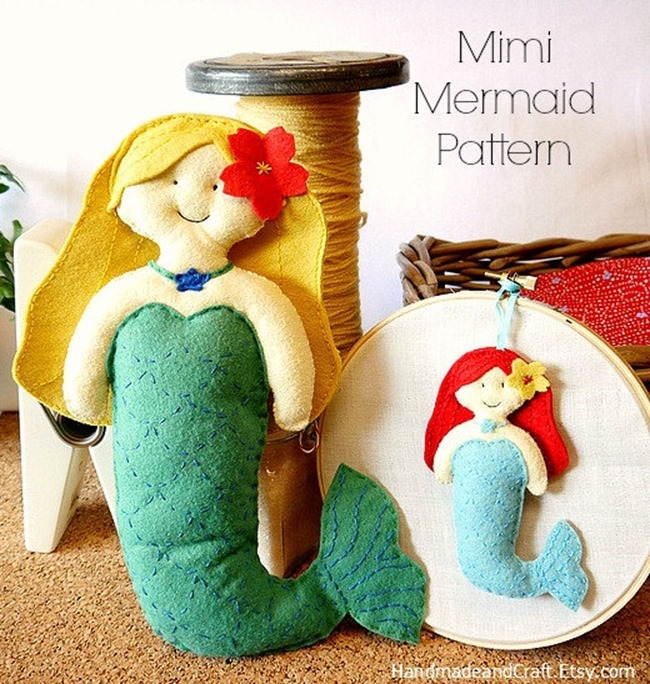 This Mimi Mermaid Pattern is one of my Felt Sewing Patterns from my Etsy shop, Handmade and Craft. 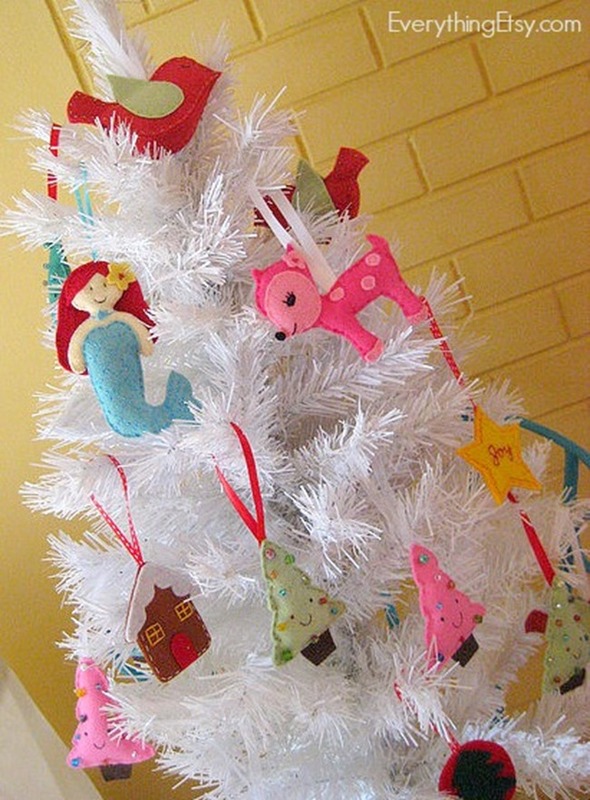 I’ve always loved felt and felt ornaments make me smile! I enjoy making them and giving them as gifts! It’s fun to decorate a whole tree of them! You can make a matching plushie…isn’t she pretty??? 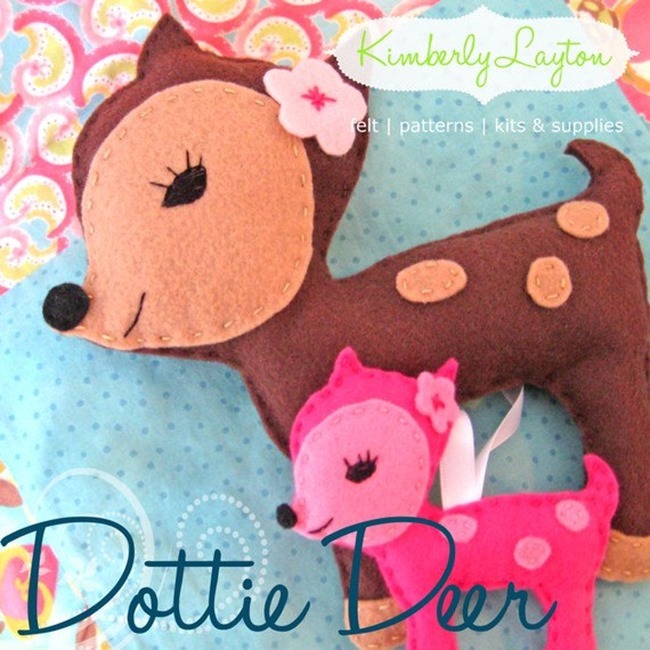 This Dottie Deer Pattern has been a favorite for years! 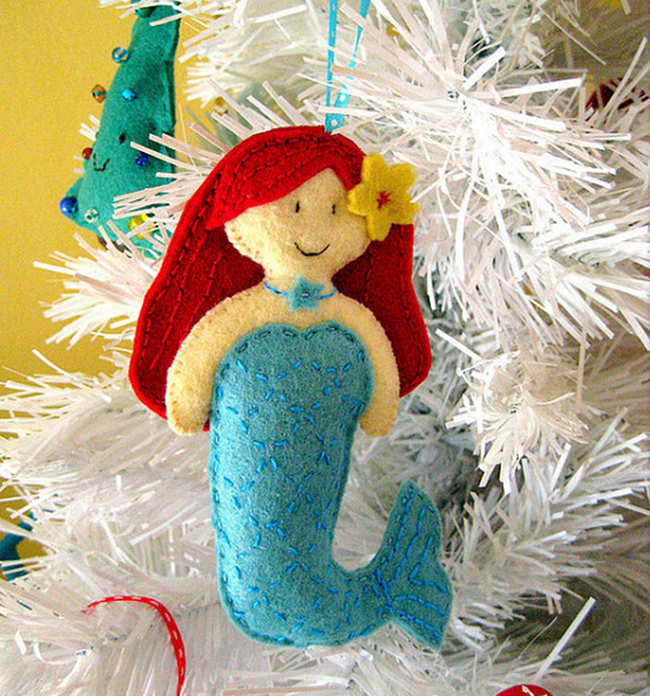 Sewing felt ornaments is such a quick and rewarding project for any skill level. 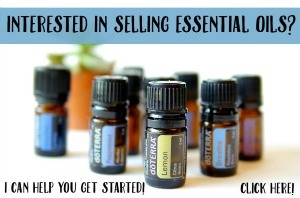 They are the perfect little handmade gift to share this season. Have fun making this year an Handmade Holiday to remember! Next Post Felt Advent Calendar – Make It!